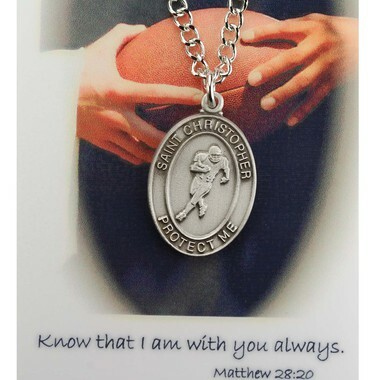 Get your game on with patron saint medals for specific sports your son enjoys. These medals are high quality pewter with a 24" chain which will easily slip over their head. The sets also come with laminated prayer card for each sport. Sports include: baseball, football, basketball, lacrosse, swimming, soccer and golf.